A nuisance ex-boyfriend has been jailed for 16 weeks after he repeatedly breached a non-molestation order. 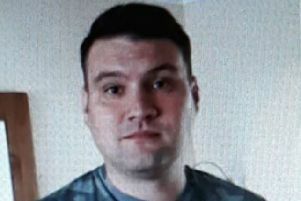 Chesterfield magistrates’ court heard last Tuesday how Ian Watson, 31, of Chester Street, Chesterfield, was subject to an NMO when he spoke to his former partner twice, texted her and sent her a photo. Prosecuting solicitor Becky Allsop said Watson approached the victim in a bar on April 1 and later sent her a text which he claimed he had sent to everyone and he did not want any hassle. Watson also sent the complainant a photo through WhatsApp on April 8, according to Mrs Allsop, and the complainant received a phone call from Watson and his new girlfriend on April 18. The defendant pleaded guilty to breaching the NMO four times. Denny Lau, defending, said Watson claimed the complainant initiated contact and these matters surfaced after they had reunited and separated again. Magistrates sentenced Watson to 16 weeks of custody.